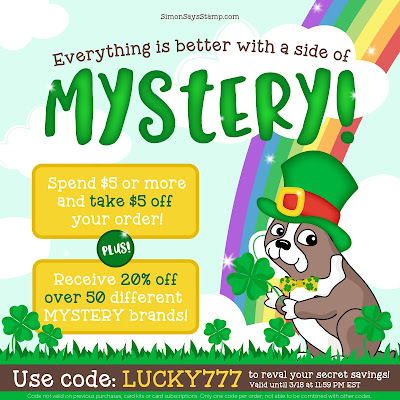 Happy St. Patty's Day, blog friends! Are you having a fun weekend so far? We had some friends over last night, but not for anything Irish themed - just for fun! :) Tonight Josh is making bangers & mash with onion gravy - so there is our holiday spirit! There are also a lot of crafty sales this weekend in celebration of the holiday! 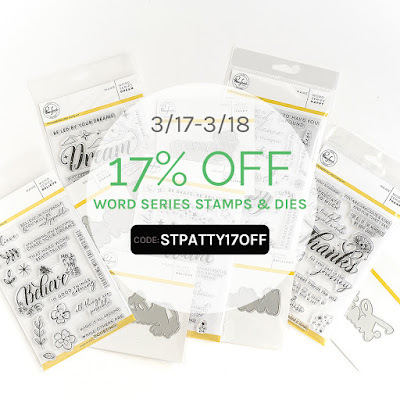 First up, at Pinkfresh Studio we are offering 17% off the Word Series collection - just use the code STPATTY17OFF. I used a couple of sentiments from this series on my cards today - and I just LOVE this stamp series. 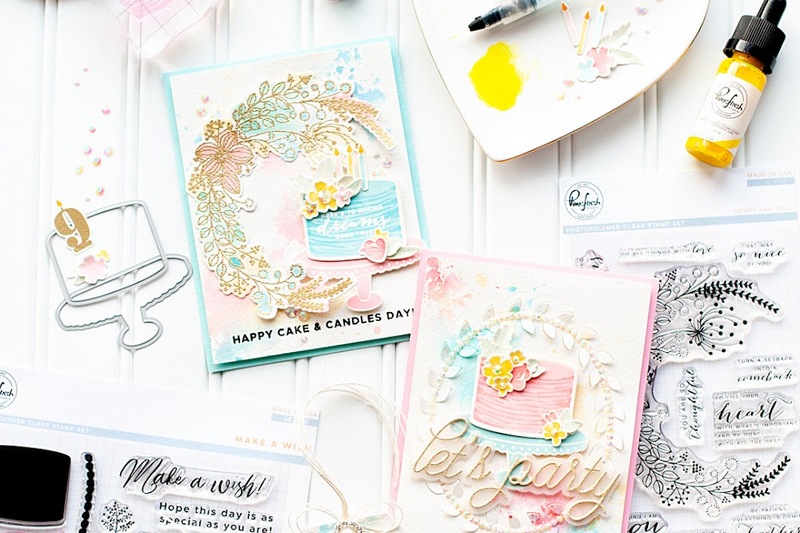 The greatest thing about Pinkfresh are all the amazing heartfelt sentiments that are included in all of our stamp sets. This is a GREAT time to add these stamps to your collection! Both of those sales go thru Sunday night at 11:59pm. But tonight is the final night for the Ellen Hutson 20% off ink sale! 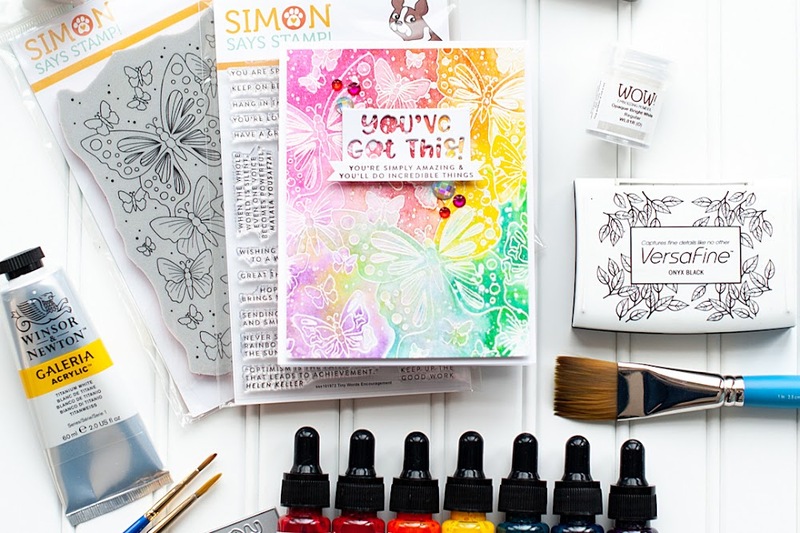 Be sure to head on over & grab all the inks you been wanting - like distress oxide, Catherine Pooler & more! 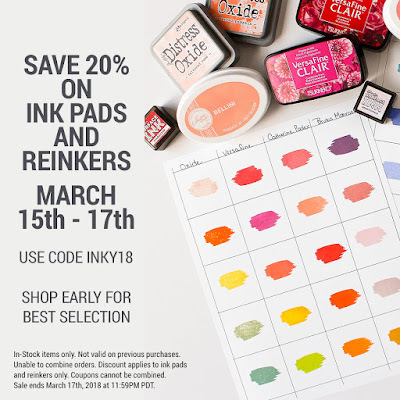 Just use code INKY18. Alright - moving past all the sales, how about we get to my cards for today! 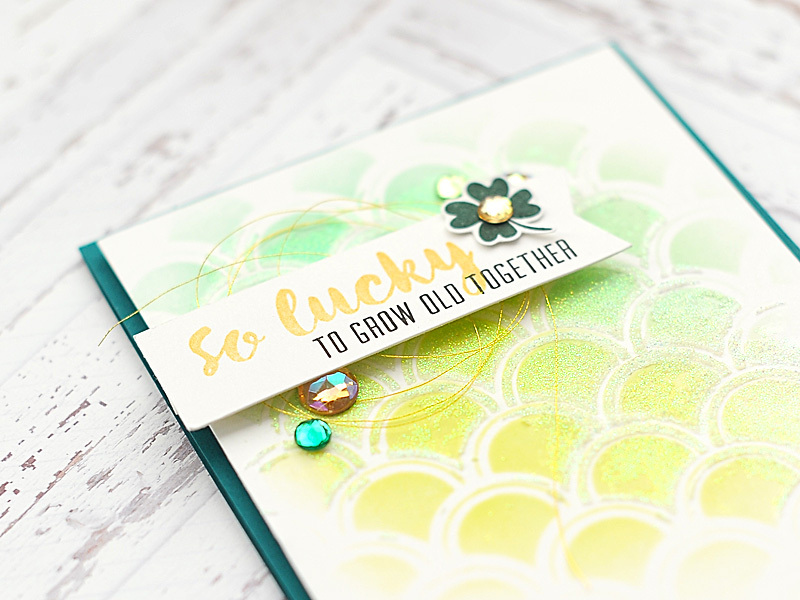 I don't really send out St. Patrick's Day cards, so instead I decided to create lucky themed love cards with a green color palette. 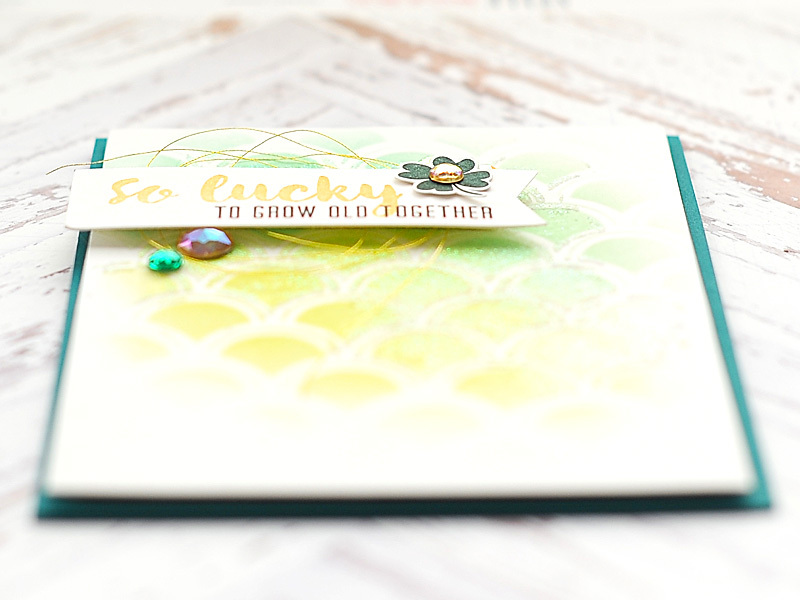 I combined the Winnie & Walter "For Luck" stamp set with some additional sentiments from the Pinkfresh Studio Word Series sets...and I love how they turned out! 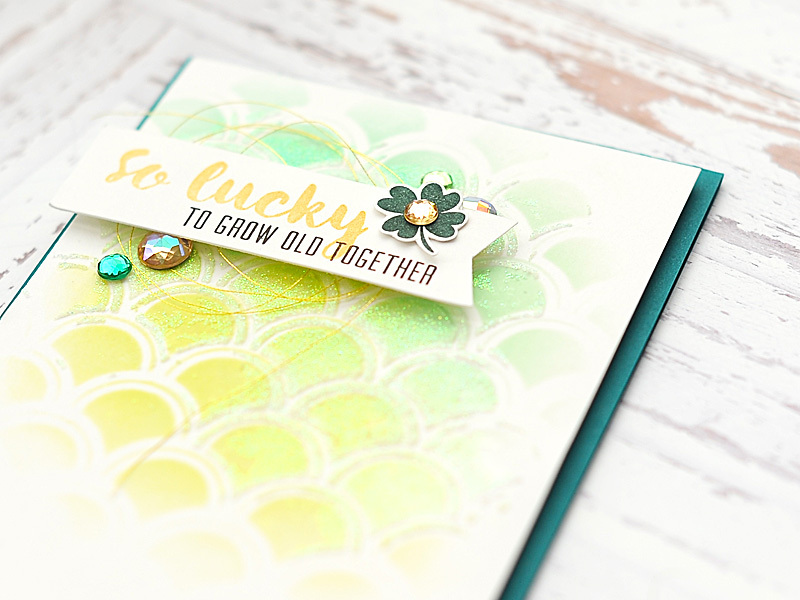 The "For Luck" stamp was the free with purchase set from Winnie & Walter in February. It isn't available at the moment for purchase, but it will be in the future. Hopefully you were able to get it during the February release! To start, I cut & folded (2) A2 cards from green cardstock & set aside. Next I cut white cardstock blocks slightly smaller. Then using a couple of my favorite Winnie & Walter Creative Screenings, I blended 3 shades of distress oxide inks to the white blocks. I moved the screenings slightly, then added some Nuvo Glimmer Paste to the front of each one. Once finished, I set them aside to let the paste set. Next I stamped the sentiments to white cardstock strips using my MISTI. 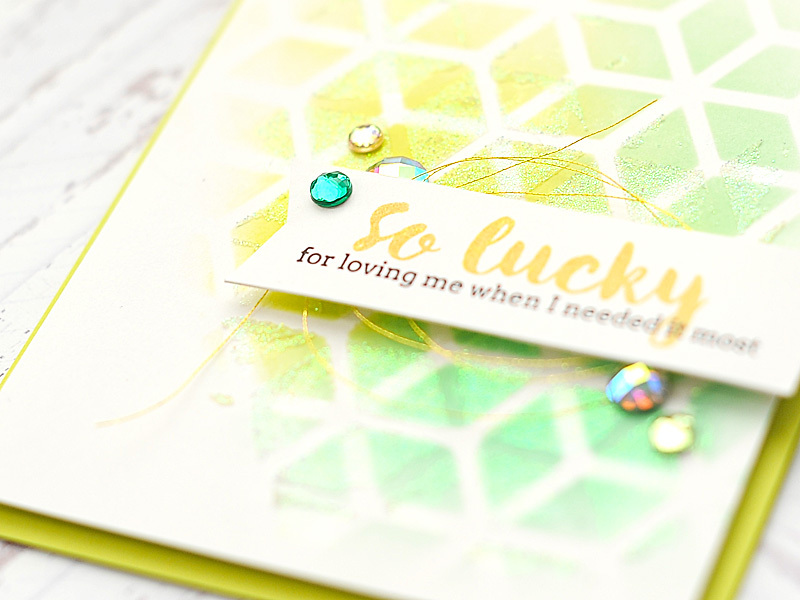 I stamped "so lucky" first to each strip in golden glitz Delicata ink, then finished the next part of the sentiment in onyx black Versafine ink. Then I cut a banner edge to the edge of each sentiment strips. Once the glimmer paste was set, I adhered each block to the corresponding card base. Then I adhered each sentiment strip to the card front over top of a knot of gold thread using foam tape. Next I stamped a shamrock in deep green ink, and fussy cut it. Then I adhered it to the sentiment strip on the first card. I had stamped two of them, but I decided that I didn't want to add one to the lighter colored card. 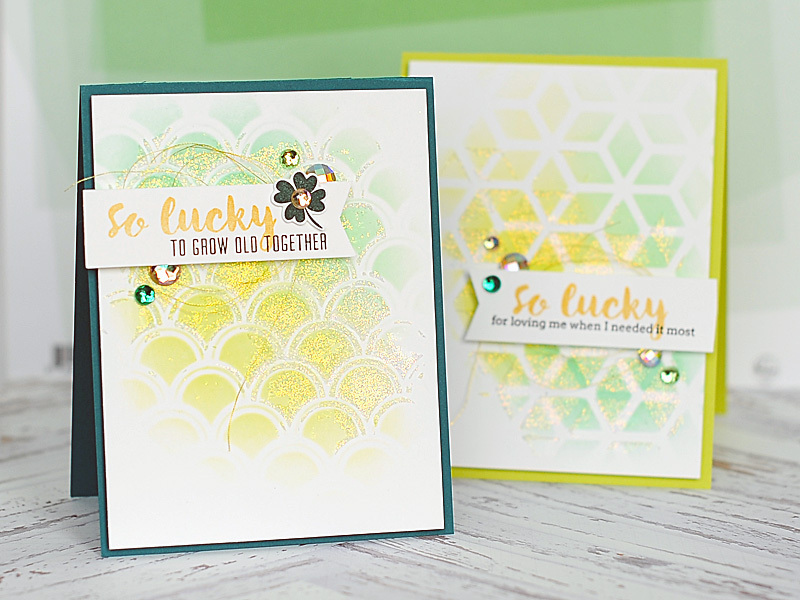 Well, those are my St. Patty's Day themed love cards for today! I hope that you liked them! Let me know what you think below in the comments, & leave me any questions if you have them! 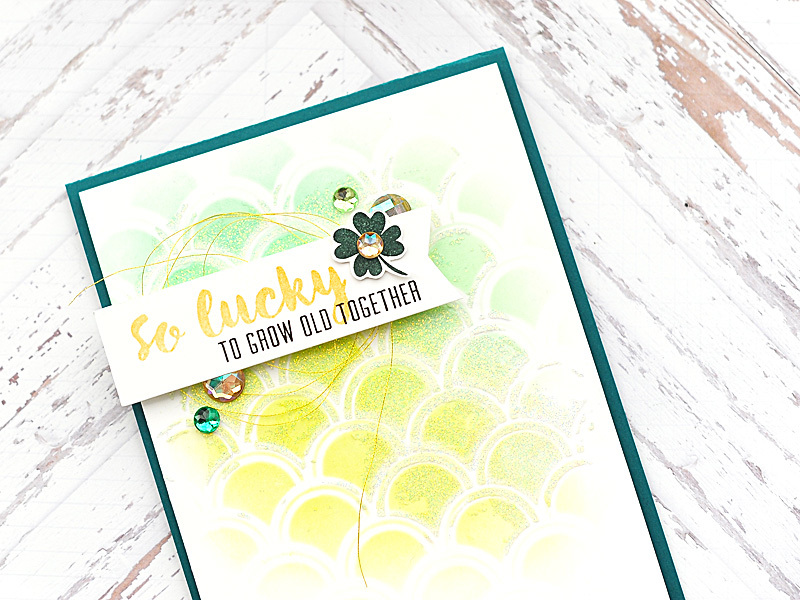 Super pair of cards with a wonderful use of ombre shading. Thanks for playing aloong at AAA Cards. 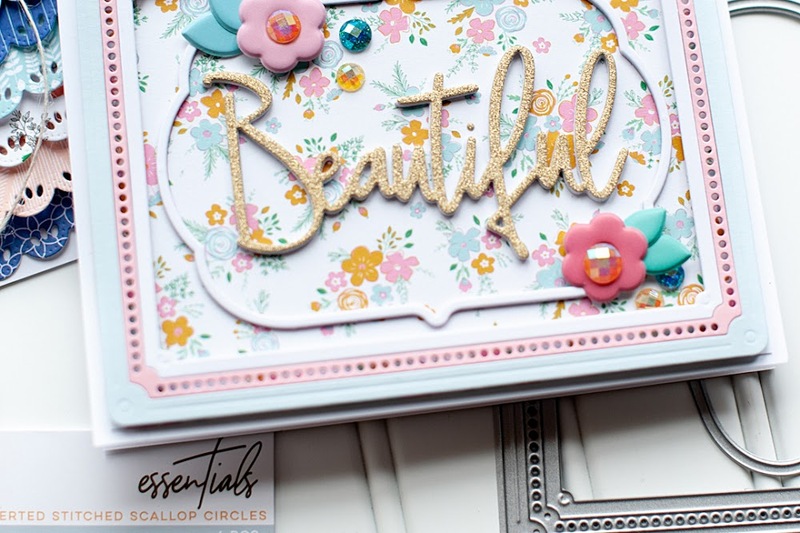 Your cards are so beautiful, I love the look of the glimmer paste! Thanks for joining us at CAS-ual Fridays and thanks for visiting my blog!